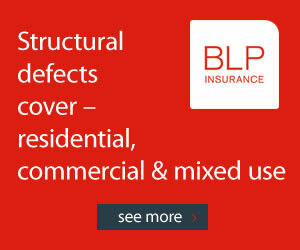 Guaranteed to beat your business insurance renewal premium or your money back! Constructaquote.com is an online insurance quote comparison service dedicated to UK small business. We have developed valued partnerships with the UK’s leading insurers including Aviva, Brit PI and MMA, to bring you insurance cover tailored to your needs. Constructaquote.com differs to other insurance websites in that it offers true online comparison. We bring together the insurance products relevant to you and your business, so that you can arrange all the commercial policies you require in one place. The products on offer from our partners are varied, ranging from public and employer liability insurance, to professional indemnity, van insurance and goods in transit cover. The simple search facility makes it easy for you to combine any number of policies to meet all of your insurance requirements. Constructaquote.com offers a full quote and buy facility so you can purchase your policy online and download your documents. We also have a dedicated UK based call centre for customers who prefer to receive help with their insurance quotes. Constructaquote.com will take the worry out of ensuring you have the necessary insurance policies to run your business legally and efficiently. Using a large panel of well-known insurance providers we will compare rates to provide you with instant value-for-money quotations. You enter your details once and we do the rest. By visiting our dedicated product pages, you can request tailor-made policies to suit the needs of your business, however large or small. We also assist by giving you helpful hints and tips, in order that you can make an informed decision about your insurance needs. We take the hassle and cost out of ensuring you have the appropriate cover to run your business. In order to provide you with low cost insurance cover, we don’t charge you, we simply compare the quotes on offer from our partners, saving you both time and money. The quotes you see on Constructaquote.com will often be more competitive than going direct, and it’s easier for you to select the most suitable policy when they’re all on the same screen. Our insurers pay us commission every time we pass your business onto them, which means we can continue to provide this service, and keep your insurance costs down. You can rely on Constructaquote.com to provide for all of your insurance needs, enabling you to get on with what you do best - managing your business.